Actually Hyundai’s Kona is already here and is being sold all over the United States and Canada. However, the Kona EV (Electric Vehicle) initially will only be sold in the Golden State. The New Hyundai’s funky looking subcompact SUV was introduced last spring. Hyundai’s Kona is the first vehicle sold with a combustion engine and an all electric engine. 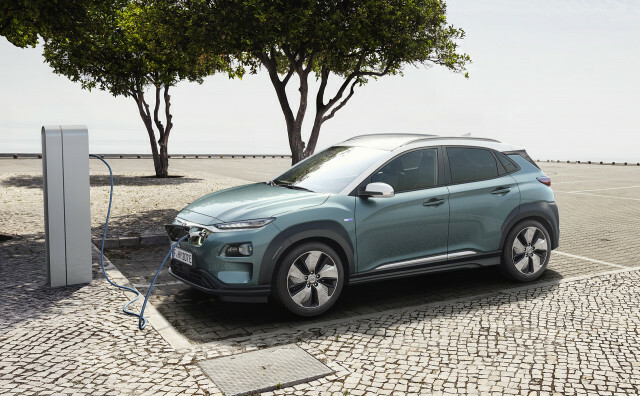 Hyundai says the Kona will have an electric range of 258 miles, which is higher than Nissan, the new Jaguar, the future Audi E tron and Chevy’s Bolt. The only electric vehicle has a longer range, is Tesla. Pricing for the Kona EV starts at $37,000 before the $7500 Federal Tax Credit (for purchasers of an electric car ). The Electric Kona should be on sales early next year, however only in California and eventually to the rest of the country. Tesla’s Model 3 is a bonafide hit. Out selling established players like, the Ford Fusion and the Nissan Altima. As a result, by the time the Kona hits the market Tesla buyers tax credit will be cut in half. Tesla says they plan to sell a basic Model 3, at $35,000 base price, however this model with have a range of 220 miles. Like the Model 3, Kona EV is a hit before it hits showrooms. 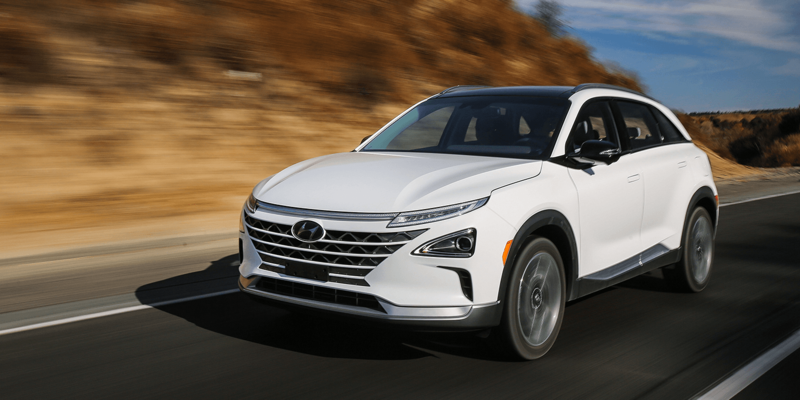 Hyundai says, there is currently a 10 month wait for the electric vehicle. While there isn’t much of a demand for cars these days there is a huge demand for electric vehicles. Tesla’s Model 3, sold more cars than the entire brand of Mercedes, BMW, and Audi. The Model 3, is the fifth bestselling car in the US, only the Toyota Camry, Honda Civic, Honda Accord, and the Toyota Corolla is out selling the Model 3 and the average price of the Model 3 is more than double of those makes. Volkswagen, Mercedes-Benz and Volvo have committed billions to the Electric market. Mercedes Benz may jointly build electric cars with Tesla. Volkswagen and Ford are talking about jointly building electric cars. While I haven’t completed a full test of the combustion Kona, I like the funkyness of the car But it is a subcompact. Leg room for this 6.4 giant was just ok, and its a narrow vehicle . It was tolerable but only for small jonts. It put together well and rides well for a subcompact . For big people the nice driving yet homely Chevy Bolt has more room and the price for the two are nearly the same , however the driving range on the Hyundai is a little longer. Average sized people wont have issue with the Kona. As for SUV’s the Hyundai Kona is exceptional. 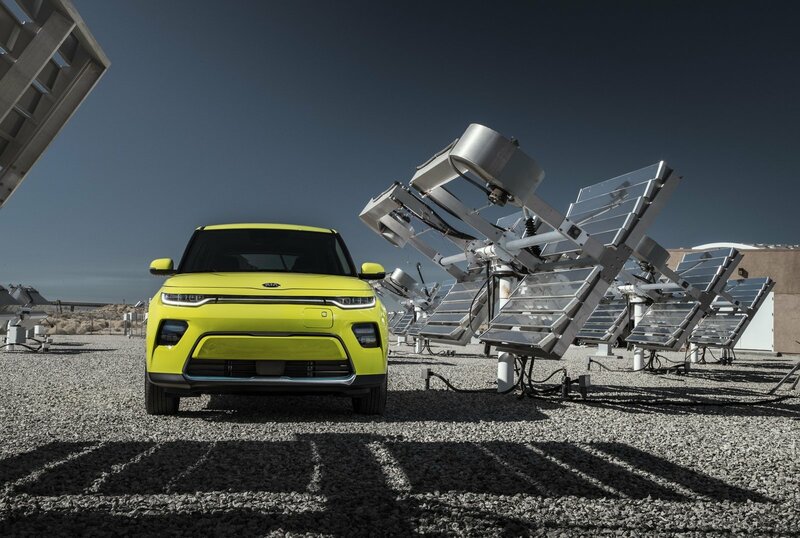 Its the only Subcompact SUV that offers two engine choices, and the only Subcompact that offers 4 wheel drive* *The Kona EV will is only offered as a two wheel drive car. So if you live in the other 49 states and want a Hyundai Kona EV you’ll have to wait. and if you live in the Golden State and want a Hyundai Kona EV, you’ll need to zip on down to your nearest Hyundai dealer and leave your deposit. What we learned from the Tesla, the line will only grow longer. While drivers are abandoning cars for SUV’s Tesla has quietly become the best selling Luxury car company in America. Selling more cars than BMW, Mercedes Benz, Jaguar, and Lexus. Tesla is the only electric automaker with a supercharger network that extends from coast to coast. In order to help move cars during its end of the quarter delivery rush, Tesla is bringing back free unlimited Supercharging to inventory cars and Model 3 vehicles until the end of the month, according to a source familiar with the matter. Tesla has apparently made a lot of inventory cars unmatched to custom orders that the automaker is now trying to move by the end of the quarter. 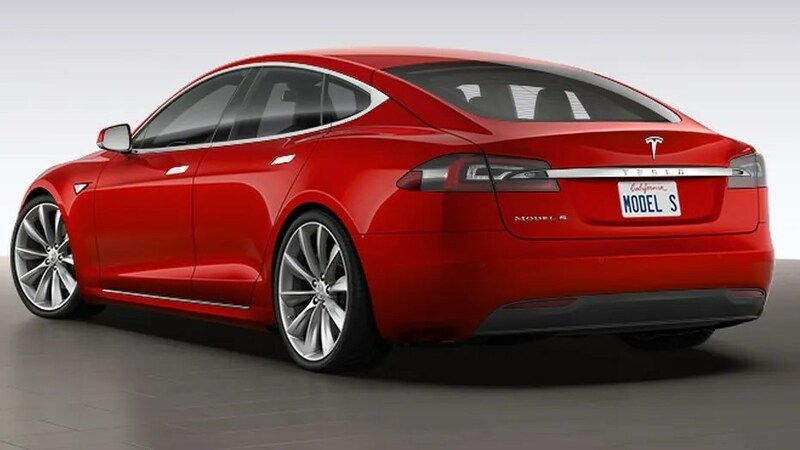 Tesla was the first mainstream electric automaker to build stylish cars and the first electric automaker building powerful cars with driving range. Not something you’d hear every day, certainly not from a powerful executive in the auto industry. Yet those are the words of Ha Bu-young, head of the Hyundai motor union, both the largest and the most powerful union in South Korea. Ha made the comment in an interview with the Reuters news service last week, published on Monday. His concern is jobs, specifically the well-paid auto industry jobs that have lifted auto workers in the country to higher salaries and more generous benefits than those in most other industries. General Motors blamed high labor costs and declining sales for its decision to close an assembly plant in the country, one of those it acquired 15 years ago when it bought the bankrupt Daewoo operation. Ha estimated that electric cars could destroy 70 percent of the jobs at Hyundai under a worst-case scenario, though that figure is far higher than estimates from union bosses in other countries. In late 2016, Michael Brecht, chief of the Daimler works council, said the number of workers required to build internal-combustion engines was “roughly tenfold” the number required for electric motors of similar output. The UAW in the U.S. weighed in last October, after new Ford CEO Jim Hackett called for a 30-percent reduction in the “hours per unit” to assemble electric cars. He said the union and the automaker had agreed to work together to understand the answer to that question. Another challenge for auto unions is the value represented by powertrain components versus the rest of the vehicle. Today and likely well into the future, the single most expensive component of a battery-electric vehicle is its battery pack, which may be $6,000 to $9,000 for a 60-kilowatt-hour pack even once cells reach $100 per kilowatt-hour. But the electrode film for those cells is made not in the automotive industry but by giant battery companies like Panasonic, LG Chem, and AESC. So even if cells and battery packs are assembled locally, as they are at the huge Nissan plant in Smyrna, Tennessee, the high-value electrode film comes in from somewhere else where auto-industry unions have no representation. That is, parenthetically, why one-third or more of a 2018 Nissan Leaf is still deemed content originating outside North America—because the electrode film is shipping in from Japan. Automation and outsourcing have steadily eroded the number of hours and workers required for a new car, even as cars grow in complexity, though the remaining employees work in far less grueling conditions than did their forebears. But Ha may not be too far off-base in worrying that auto-union membership will shrink the ranks of the union. He just resorted to stronger language than other union bosses have to date. Zzzzzz Your next-NEXT car will be Electric! Yes, your next NEXT car will be electric. A report from research firm,Bloomberg New Energy Finance says by 2022,” the report says, the cost of ownership of battery electric vehicles will fall below that of an internal combustion engine vehicle. Bloomberg projects by 2040 25% of the cars globally will be electric. Electric vehicles have fewer moving parts than an internal combustion vehicle. The current challenge for electric car production is the availability of batteries which currently accounts for one third of the cost of the vehicle. Automobiles are responsible for more than 40% of air pollution. Air pollution exposure can trigger new cases of asthma, exacerbate (worsen) a previously-existing respiratory illness, and provoke development or progression of chronic illnesses including lung cancer, chronic obstructive pulmonary disease, and emphysema. 1.2 million die each year in India to diseases related to Air Pollution. In China over 2 million people die annually. In 1967, The State of California established the Air Resources Board(CARB). One of the goals of CARB is maintaining air quality. One of CARB’s responsibilities is to define vehicle emissions standards. California is the only state permitted to issue emission standards. Other states can choose to follow CARB standards There was a time when Automakers built two engines, one designed for California and the other for the other 49 states. A few years ago CARB set a mandate for cars sold in the state. By 2025,15% of all cars sold in California must be zero polluting vehicles. These would include, Electric, fuel cell vehicles powered by hydrogen. Naturally there was resistance by auto manufacturers. How committed was the state to implement this programs in 2006 there were a few charging stations and no hydrogen stations. To build an electric vehicle from the ground up would cost the industry billions without a guarantee of acceptance by the public. To meet this mandate, Auto manufactures modified existing vehicles adding an electric motor. The problem is these cars had a very limited range(most were less than 100 miles) and to completely charge the cars took 8 hours or more. The electric vehicles were based on a compact or subcompact platform, the average cost for these electric cars was $40,000 (before state and federal incentives) The manufactures lose money on each electric sold. As for styling ,automakers seems to be dragging their feet, building something to meet the requirements. The worlds best selling electric vehicle in the Nissan Leaf. The Leaf was introduced in 2011 and more than 250,000 Leafs has been sold worldwide. The current Leaf has a range of 107 miles. 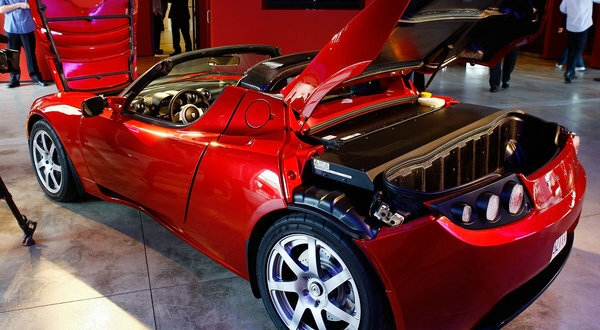 Founded in 2003 The Palo Alto, California based Tesla started building electric vehicles in 2008., A two seat Roadster with a range of 200 miles. It was the first production automobile to use the lithium-ion battery. In 2012, Tesla introduced the model S.
Unlike the other automakers,the S was built from the ground up as an electric vehicle. The batteries are larger and is a part of the cars structure. thus having a considerable longer range (265 to 351) than other electric vehicles . The S was an instant hit. With a price range from $80,000 to $100,000 its style attracted buyers who would normally purchase premium luxury cars from Mercedes Benz, BMW and Jaguar. In 2015, Tesla introduced the model X, SUV. Tesla has a network of high-powered Supercharges located across North America, Europe and Asia for Tesla vehicles. Software within the vehicles navigation directs Tesla to charging stations. The company also operates a Destination Charging program, under where shops, restaurants and other venues are offered fast chargers for their customers. As of December 2016, Tesla has nearly 1000 stations globally, and 6,400 and charging locations. Earlier this year, Tesla briefly surpassed Ford and General Motors in market capitalization for a couple of months, making it the most valuable American automaker. The Government of Norway intends to ban internal combustion engine cars fueled by gasoline or diesel by 2025. China, home to some of the world’s most polluted cities has a mandate similar to California requiring manufacturers to sell a minimum of 8% “new energy vehicles” by next year. Virtually every car company argued the time table was too aggressive. Even though sales of the low or zero emissions vehicles are higher than in most other countries, except Norway, they still account for less than 3% of the Chinese new car market. There are now strict limits on the number of new vehicles that can be registered in major cities such as Beijing and Shanghai, but qualified NEV models are exempt, encouraging buyers to shift. With some of the world’s most polluted cities, some observers believe China could call for an outright ban on internal combustion technology in the not-too-distant future. India wants all its cars to be battery powered by 2030 — and that means it not only wants to end the sale of internal combustion vehicles but convert or replace all other vehicles already on the road by the end of the next decade, a goal few see possible. European gasoline based and diesel cars already have high fuel economy. In response to so-called range anxiety, in which an electric car’s limited range may leave the driver stranded on the motorway, the Holland administration is expected to pair the proposed phaseout with national investment into charging stations as well as additional investment into TGV lines, to make it easier to travel long distances in France without a car. Germany may also push to end sales of gas and diesel cars by 2030, but there is strong opposition, especially since half of its electricity comes from coal. Yet German automakers are launching major drives to electrify and that could help build momentum for a switch. In July, Volvo told the world ,all the models it introduces starting in 2019 will be either hybrids or powered solely by batteries. Volvo headquartered in Sweden, is owned by Geely Automobile Holdings of China, which already produces battery-powered cars for the Chinese market. The decision by Volvo to focus on electric vehicles could ultimately give it and Geely a head start if, as many analysts expect, sales of battery powered cars begin to take off. China is already the largest market for electric vehicles. With the American automakers focus on the very profitable SUV’s will they have the billions necessary to build electric vehicles? Currently every electric vehicle sold in America loses money. Nissan just announced their next generation Leaf will have a range of 150 . Hiroto Saikawa CEO of Nissan says a Leaf with a range of 300 miles is possible within 3 years. Unlike Tesla, this car is affordable. its very quick and roomy AND it starts at $38,000 (before incentives) $40,000 less than the current Tesla model S. If there is one problem with the car, its the styling. It not ugly or Toyota Prius Quirky. 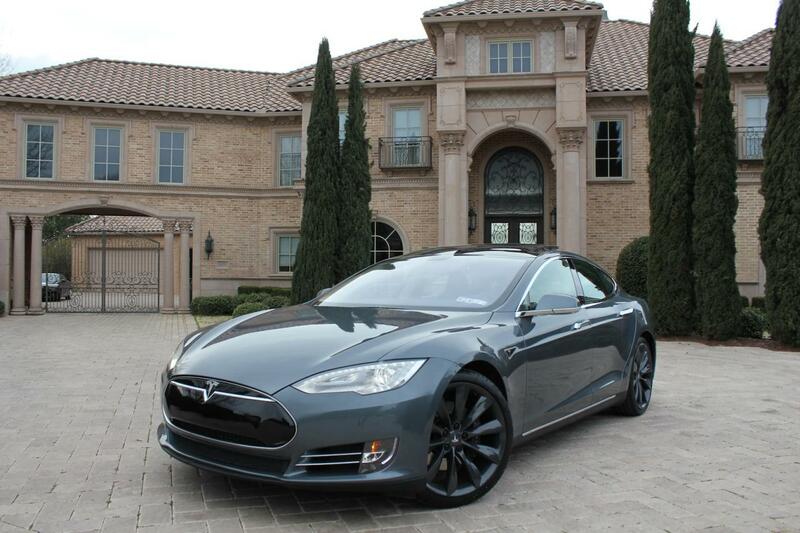 Tesla gave buyers a reason to trade in their BMW’s and Mercedes . One would expect more from the General. Waiting in the wings is Tesla’s people’s car the Model”3”. Tesla began building the car in its Fremont, California plant in July. Pricing for the “3” begins at $35,000(before incentives), if its the “3′ you want, you’ll have to get in a very long line as 450,000 people have placed deposits on the “3”. Based on Tesla’s track record the 400 thousandant should receive his “3” by 2020 Tesla has an Apple like, cult following and those people are willing to wait. With all the luxury manufacturers taking aim at Tesla. Jaguar, a company known for its stately vehicles, is introducing a compact luxury electric SUV called the I-Pace( Est arrival is first quarter 2018). Its engineering comes from Tesla’s play book. The batteries anchor the car with two electric motors, one at each axle. Jaguar says the range of the I-pace is estimated at 220 miles. 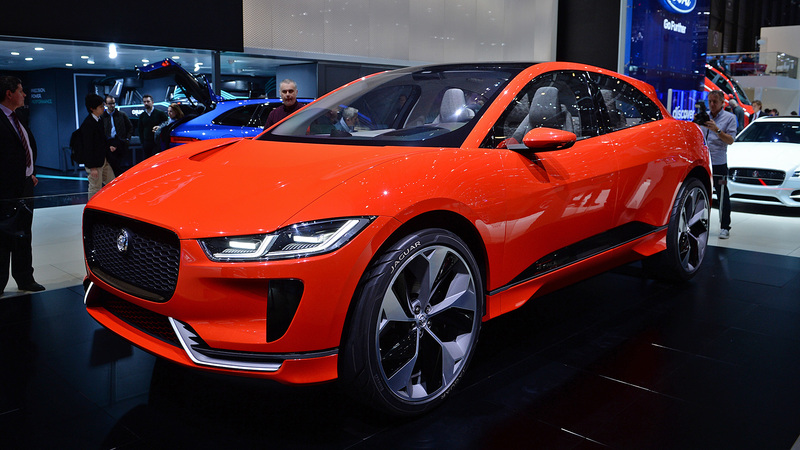 The SUV, will be built in Austria and the platform will be used on other Jaguars as the company says half of its vehicles will be electric by 2025 The cost for I-Pace begins a tick under $100.000. If $100,000 seems hefty. Tesla sells to variations of the Model S for $100,000 and the Model X SUV sells for over $100,000. If Jaguar is remotely successful, expect the automakers to quickly follow suit. Perhaps with the assistance of Tesla’ Tesla build a Gigafactory, outside of Reno Nevada. Panasonic is currently building car batteries in a section of the uncompleted building and Tesla will eventually build cars there. The truck has a range of 100 miles and is capable of hauling a 22-ton trailer. Cummins electric power train is being targeted at urban delivery vehicles (like a beer truck or food delivery truck) as well as for short haul trips in and around ports and other terminals. It can be recharged in about an hour at a 140 kWh charging station, and Cummins’ goal is to get that down to 20 minutes by 2020, reducing down time for its business customers. Production begins in 2019. There are challenges ahead for the industry. There isn’t a standard for charging. In Most charging stations uses Level 2 J1772 charger.these will work on all electric cars. Those charging stations are fairly slow, often requiring hours to fully charge your vehicle. If you own a Tesla you can drive from coast to coast due to their network of superchargers where owners can charge their cars in as little as 30 minutes. Those charger are exclusive to Tesla vehicles. The other challenge is much greater. Is our national electrical (grid) prepared for an increase of electric usage? As a result of individual scharging their vehicles at home? Your next-next new car is likely to be an electric car. With ranges considerable more than the cars of today. Like your cell phone, charge it and drive. All new Volvo cars will be equipped with an electric motor from 2019, making it the first of the world’s traditional car makers to pull the plug on cars powered only by a combustion engine. Volvo said it would launch five fully electric cars between 2019 and 2021, as well as petrol and diesel plug-in hybrids and so-called “mild-hybrid cars”, cars with a small petrol engine and large battery. Volvo Car Group is owned by Chinese Geely Holding. It is headquartered in Torslanda, Gothenburg, and has a factory there as well as in Ghent, Belgium, and Chengdu, China. European car makers have been racing to develop electric vehicles. German car giant Volkswagen is championing electric models in a bid to clean its tarnished reputation, after it admitted in September to installing emissions cheating software in 11 million diesel-powered cars worldwide. Why you might own at Tesla or and Electric car in the Next Five years! 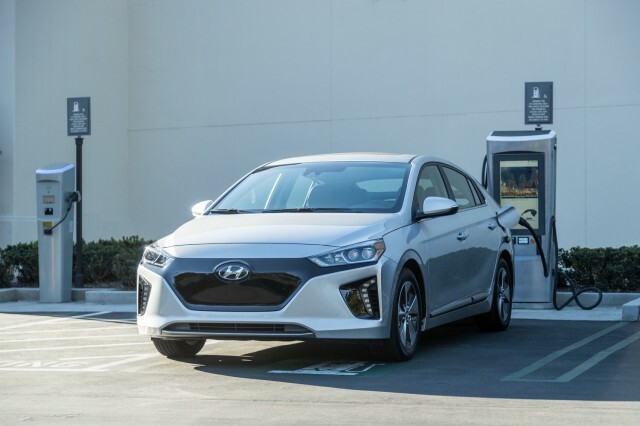 A few years ago the State of California approved rules requiring 15 percent of cars sold in California to be all-electric, plug-in hybrid electric or hydrogen vehicles. This means in your an automaker 15% of your fleet must be one of above. Compliance begins with model year 2018. Full compliance is expected by 2025. A few years ago these cars began appearing on dealers lots buried in the back. With the exception of Nissan , few marketing dollars has been spent for all electrics and plug-in vehicles. To make matters worse, prospective buyers often encounter uninformed salespeople. For many the downside of owning an all electric car is range. Most electric vehicles have a very short driving range including the best selling Nissan Leaf has a range under 80 miles. In Sacramento, that means a shopping tour of the Rocklin area with a stop at an “In and Out’ drive through” could be a little nerve wrecking. The vehicle with the longest range is the Tesla, the Model S with its basic battery has a range of 208 miles* and 265 miles with the larger battery. This makes the Tesla the car of choice for commuters. According to Car Stations.com. 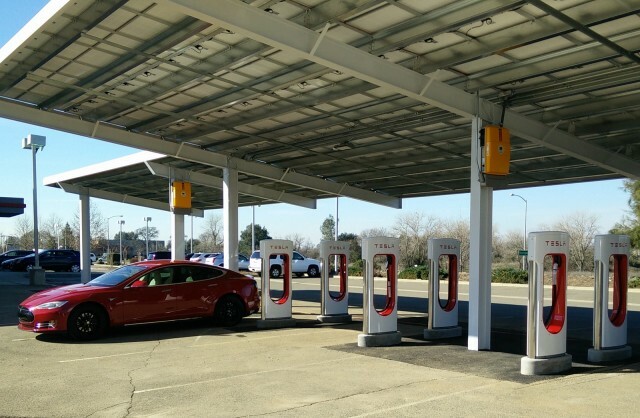 there are nearly 130 charging stations in the Sacramento region. However, it isn’t a one size fits all. Manufacturers offers an app to direct you to the nearest charging station. Unlike, gas stations most charging stations are free. If they are located in parking garages, you pay for parking only. Electric cars aren’t new, they were popular in the big cities because they were quiet, easy to drive and didn’t pollute. hey were perfect for short trips around the city, and poor road conditions outside cities meant few cars of any type could venture farther. As more people gained access to electricity in the 1910s, it became easier to charge electric cars, adding to their popularity with all walks of life. Many innovators at the time took note of the electric vehicle’s high demand, exploring ways to improve the technology. For example, Ferdinand Porsche, founder of the sports car company by the same name, developed an electric car called the P1 in 1898. Around the same time, he created the world’s first hybrid electric car — a vehicle that is powered by electricity and a gas engine. Thomas Edison, one of the world’s most prolific inventors, thought electric vehicles were the superior technology and worked to build a better electric vehicle battery. Even Henry Ford, who was friends with Edison, partnered with Edison to explore options for a low-cost electric car in 1914, according to Wired. Many believed the Model-T killed the electric car. The massed produced car at $650 was one third the cost of an electric car. Cheap gas and better roads buried it. By 1935, nearly all electric cars disappeared. In the 90’s, General Motors developed an electric car from the ground up. 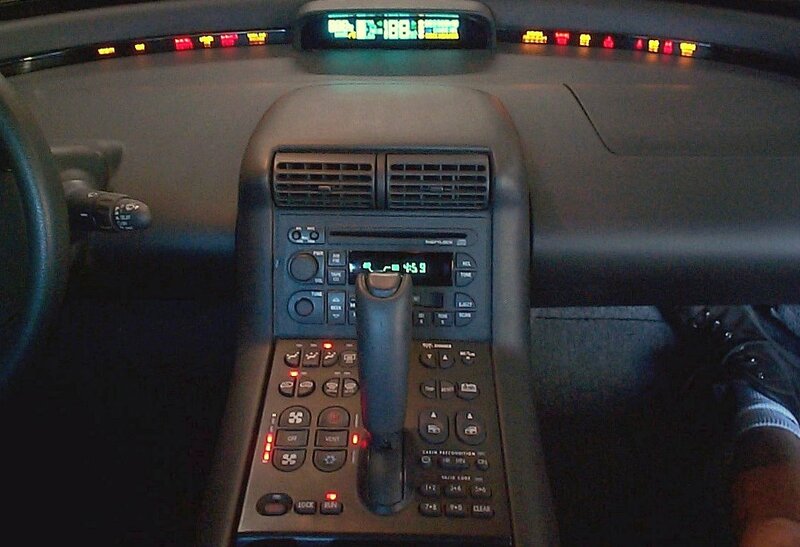 Because of high production cost GM didn’t believe the EV1 was commercially viable and despite its cult following. 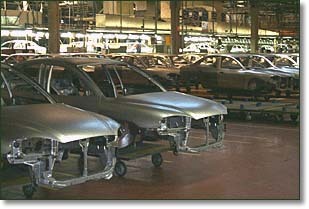 GM discontinued the car in 2001 and repossessed the leased cars and destroyed them. The remaining vehicles can be found in museums. With the California mandate, automobile manufactures simply converted combustion engines to electric. Most manufacturers sell those vehicles at a loss. Tesla has been around for twelve years now. Its first car, the Roadster was introduced in 2008. According the Wikipedia it sold 25oo units. This car was designed from the ground up to be an electric vehicle. The Roadster cost $102,000, the car was discontinued in 2012. It had a range of 200 miles. In 2012, Model S was introduced at a price of $59,000 and depending of the size of the battery offered a range from 160, to 265 miles. The first year Tesla sold over 22,000 cars. Last year nearly 32,000 cars sold globally. 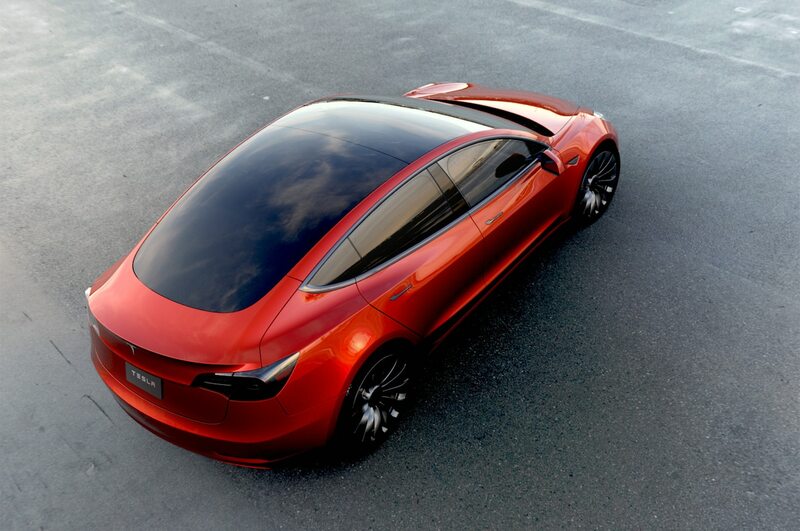 Tesla builds cars in Fremont, California and in The Netherlands. This year the Model S is available in Shanghai, China. Model S has made an impact on the large manufacturers as the Model S has taken sales from the like of Mercedes Benz, BMW, and other luxury brands. Last June, CEO Elon Musk wrote a blog stating. that the company would not initiate lawsuits against anyone who wishes to use their technology in good faith. To build an all electric car would cost the industry billions. In the blog post, Elon Musk stated that he was disappointed with the rate at which other car companies were adopting the electric vehicle technology. As the global production of vehicles approaches 100 million per year, electric vehicles only form less than 1% of that number. Tesla moved into the supplier business in order to nudge other companies into adopting the technology but the company?s efforts so far have not paid off. By granting access to its technology, the company is hoping that more vehicle manufacturers will adopt the technology, thereby growing the market for EV?s. If the move is successful, it could lead to advantageous network effects for the company. In 2000, the Toyota Prius went on sale in the United States at a cost of 22,000. From 2000 t0 2014 over 1.5 million cars were sold. Today, Toyota has over 67% of world the hybrid sales. With Ford being a distant second. In 2017, Tesla Gigafactory opens in Reno,Nevada. In the last quarter of 2017, Tesla plans to build Model 3. At a projected price of $35,000 and a range of 200 miles this will be the game changer. The Model 3 will be affordable to more consumers. Average cost of electricity in California: 16 cents per kilowatthour (kWh). Obviously, there are many factors that could change the result of these calculations. But most of the variables play in favor of the Tesla. For example, there are many free public charging stations where there is no cost for electricity. The electricity from Tesla’s superchargers is also free. And many people who get a Tesla become enraptured with solar power and have panels installed on their houses. This drops the cost of electricity well below the 16-cent average. Additionally, some utilities reduce rates for charging EVs at night. Southern California Edison, for example, charges only 11 cents kWh for charging after midnight. Also keep in mind that these figures are just for 23,000 miles. Over 100,000 miles the savings in fuel costs is $16,192. Tesla has Charging stations all over the country. Today your can drive from San Diego to Vancouver Canada. and from San Diego to New York City using Tesla’s free charging stations along the way. BMW is building its network of stations. Of course it would make sense for the industry to adopt Tesla’s charging system, but today its Tesla vs the world. Is this an endorsement of Tesla? No, its an endorsement of alternative energy. We need alternative to the combustion engine. Despite the improvements it is still largely responsible for air pollution. (Its the number one source in Sacramento) Its an endorsement of cleaner cars. Before the success of Toyota’s Hybrid System if you wanted an fuel efficient car, you were limited to a small, under powered subcompact car. Today, you can find hybrid systems of Lincoln’s, BMW and Mercedes Benz. Today there are 8 passenger Suv’s achieving 27 mpg in the city. Today the EPA rates the Lincoln MKZ Hybrid city mileage at 41 miles per gallon. A figure unimaginable 20 years ago. Later this year Toyota will sell the world first hydrogen car the Mirai. Today, we need Tesla to succeed..